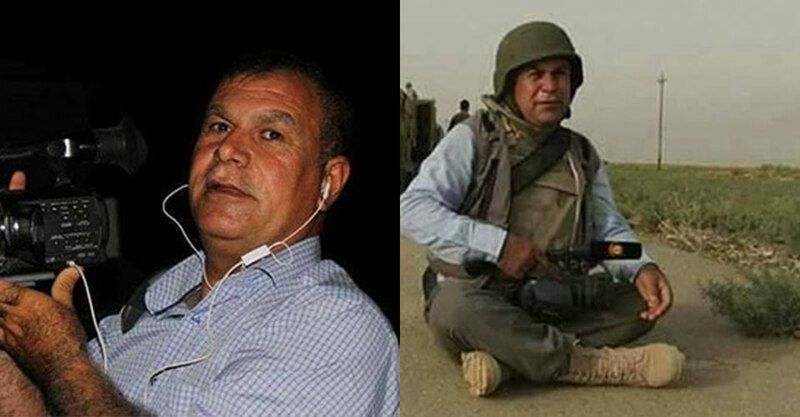 ERBIL, Kurdistan Region - Arkan Sharifi, a Kurdish cameraman working with the Erbil-based Kurdistan TV was stabbed to death by a number of unidentified gunmen in the town of Daquq south of Kirkuk. A member of Sharifi’s family, told Rudaw on condition of anonymity that gunmen spoke Turkmani as they stormed the slain cameraman’s house ; he added after the killing, his body was disfigured by the attackers. Sharifi, 50, is survived by two daughters and a son. He had been working with the Kurdistan TV for 13 years. He was also head of a primary school in the village of Haftaghar in Daquq.